((**SATELLITE RADIO**BLUETOOTH**TILT WHEEL**CERTIFIED PRE-OWNED ELIGIBLE**CLEAN CARFAX**ONE OWNER**REMAINING KIA WARRANTY**FREE TIRES FOR LIFE-SEE DEALER FOR DETAILS**TRADE WELCOME**FINANCING AVAILABLE WITH NO MONTHLY PAYMENTS UP TO 90 DAYS**)) 2017 Kia Soul FWD 6-Speed Automatic with Sportmatic I4 4D Hatchback, I4, 6-Speed Automatic with Sportmatic, FWD, Bright Silver, Black Cloth, Air Conditioning, Cloth Seat Trim, Front anti-roll bar, Front wheel independent suspension, Overhead console, Power steering, Radio: AM/FM/MP3 Audio System, Tilt steering wheel. 25/30 City/Highway MPG Advertised prices are subject to tax, title, license, registration, dealer documentary fee, and finance charges. Most vehicles are subject to reconditioning fees and costs for dealer installed accessories. These fees and costs are not included in theadvertised price. Second key, floor mats, or owner's manual may not be available on all pre-owned vehicles. While every reasonable effort is made to ensure the accuracy of this data, we are not responsible for any errors or omissions contained on these pages. Prices subject to change. Vehicles are subject to prior sale. ((**LX**CRUISE CONTROL**TILT WHEEL**SATELLITE RADIO**BLUETOOTH**SCOTTSDALE TRADE**CERTIFIED PRE-OWNED ELIGIBLE**ONE OWNER**REMAINING KIA WARRANTY**FREE TIRES FOR LIFE-SEE DEALER FOR DETAILS**TRADE WELCOME**FINANCING AVAILABLE WITH NO MONTHLY PAYMENTS UP TO 90 DAYS**)) 2018 Kia Forte LX FWD 6-Speed Automatic 2.0L I4 DOHC Dual CVVT Forte LX, 4D Sedan, 2.0L I4 DOHC Dual CVVT, 6-Speed Automatic, FWD, Silky Silver, UNKNOWN Cloth, Air Conditioning, AM/FM radio: SiriusXM, Driver door bin, Dual front side impact airbags, Low tire pressure warning, Outside temperature display, Power windows, Tilt steering wheel. 29/37 City/Highway MPG Advertised prices are subject to tax, title, license, registration, dealer documentary fee, and finance charges. Most vehicles are subject to reconditioning fees and costs for dealer installed accessories. These fees and costs are not included in theadvertised price. Second key, floor mats, or owner's manual may not be available on all pre-owned vehicles. While every reasonable effort is made to ensure the accuracy of this data, we are not responsible for any errors or omissions contained on these pages. Prices subject to change. Vehicles are subject to prior sale. ((**LX**BLUETOOTH**SATELLITE RADIO**CRUISE CONTROL**TILT WHEEL**CERTIFIED PRE-OWNED ELIGIBLE**CLEAN CARFAX**ONE OWNER**REMAINING KIA WARRANTY**FREE TIRES FOR LIFE-SEE DEALER FOR DETAILS**TRADE WELCOME**FINANCING AVAILABLE WITH NO MONTHLY PAYMENTS UP TO 90 DAYS**)) 2018 Kia Forte LX FWD 6-Speed Automatic 2.0L I4 DOHC Dual CVVT Forte LX, 4D Sedan, 2.0L I4 DOHC Dual CVVT, 6-Speed Automatic, FWD, Silky Silver, Gray w/Cloth Seat Trim, Air Conditioning, AM/FM radio: SiriusXM, Driver door bin, Dual front side impact airbags, Low tire pressure warning, Power windows. 29/37 City/Highway MPG Advertised prices are subject to tax, title, license, registration, dealer documentary fee, and finance charges. Most vehicles are subject to reconditioning fees and costs for dealer installed accessories. These fees and costs are not included in theadvertised price. Second key, floor mats, or owner's manual may not be available on all pre-owned vehicles. While every reasonable effort is made to ensure the accuracy of this data, we are not responsible for any errors or omissions contained on these pages. Prices subject to change. Vehicles are subject to prior sale. ((**PLUS**HATCHBACK**ALL ELECTRIC MOTOR**NAVIGATION**BACKUP CAMERA**PARKING SENSORS**PREMIUM SOUND**BLUETOOTH**LEATHER**HEATED SEATS**CERTIFIED PRE-OWNED ELIGIBLE**CLEAN CARFAX**ONE OWNER**REMAINING KIA WARRANTY**FREE TIRES FOR LIFE-SEE DEALER FOR DETAILS**TRADE WELCOME**FINANCING AVAILABLE WITH NO MONTHLY PAYMENTS UP TO 90 DAYS**)) 2016 Kia Soul EV Plus FWD 1-Speed Automatic 109 hp AC Electric Motor Soul EV Plus, 4D Hatchback, 109 hp AC Electric Motor, 1-Speed Automatic, FWD, Titanium Gray Metallic, UNKNOWN Leather, Air Conditioning, AM/FM radio: SiriusXM, AM/FM/CD/MP3 Audio w/Navigation, Dual front impact airbags, Exterior Parking Camera Rear, Front wheel independent suspension, Heated front seats, Heated rear seats, Leather Shift Knob, Navigation System, Passenger vanity mirror, Power steering, Trip computer. 120/92 City/Highway MPG Advertised prices are subject to tax, title, license, registration, dealer documentary fee, and finance charges. Most vehicles are subject to reconditioning fees and costs for dealer installed accessories. These fees and costs are not included in theadvertised price. Second key, floor mats, or owner's manual may not be available on all pre-owned vehicles. While every reasonable effort is made to ensure the accuracy of this data, we are not responsible for any errors or omissions contained on these pages. Prices subject to change. Vehicles are subject to prior sale. 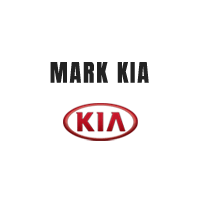 ((**PLUS**ALL ELECTRIC MOTOR**NAVIGATION**BACKUP CAMERA**PARKING SENSORS**CRUISE CONTROL**TILT WHEEL**BLUETOOTH**PREMIUM SOUND**CERTIFIED PRE-OWNED ELIGIBLE**CLEAN CARFAX**ONE OWNER**REMAINING KIA WARRANTY**FREE TIRES FOR LIFE-SEE DEALER FOR DETAILS**TRADE WELCOME**FINANCING AVAILABLE WITH NO MONTHLY PAYMENTS UP TO 90 DAYS**)) 2016 Kia Soul EV Plus FWD 1-Speed Automatic 109 hp AC Electric Motor Soul EV Plus, 4D Hatchback, 109 hp AC Electric Motor, 1-Speed Automatic, FWD, Clear White, UNKNOWN Leather, Air Conditioning, AM/FM radio: SiriusXM, AM/FM/CD/MP3 Audio w/Navigation, Dual front side impact airbags, Exterior Parking Camera Rear, Heated front seats, Leather Shift Knob, Low tire pressure warning, Navigation System, Passenger vanity mirror, Power steering, Ventilated front seats. 120/92 City/Highway MPG Advertised prices are subject to tax, title, license, registration, dealer documentary fee, and finance charges. Most vehicles are subject to reconditioning fees and costs for dealer installed accessories. These fees and costs are not included in theadvertised price. Second key, floor mats, or owner's manual may not be available on all pre-owned vehicles. While every reasonable effort is made to ensure the accuracy of this data, we are not responsible for any errors or omissions contained on these pages. Prices subject to change. Vehicles are subject to prior sale. ((**PLUS**ALL ELECTRIC MOTOR**NAVIGATION**BACKUP CAMERA**PARKING SENSORS**PREMIUM SOUND**BLUETOOTH**LEATHER**HEATED/COOLED SEATS**CERTIFIED PRE-OWNED ELIGIBLE**CLEAN CARFAX**ONE OWNER**REMAINING KIA WARRANTY**FREE TIRES FOR LIFE-SEE DEALER FOR DETAILS**TRADE WELCOME**FINANCING AVAILABLE WITH NO MONTHLY PAYMENTS UP TO 90 DAYS**)) 2016 Kia Soul EV Plus FWD 1-Speed Automatic 109 hp AC Electric Motor Soul EV Plus, 4D Hatchback, 109 hp AC Electric Motor, 1-Speed Automatic, FWD, Bright Silver Metallic, UNKNOWN Leather, AM/FM radio: SiriusXM, AM/FM/CD/MP3 Audio w/Navigation, Automatic temperature control, Dual front impact airbags, Exterior Parking Camera Rear, Heated front seats, Heated rear seats, Leather Shift Knob, Power steering, Telescoping steering wheel, Ventilated front seats. 120/92 City/Highway MPG Advertised prices are subject to tax, title, license, registration, dealer documentary fee, and finance charges. Most vehicles are subject to reconditioning fees and costs for dealer installed accessories. These fees and costs are not included in theadvertised price. Second key, floor mats, or owner's manual may not be available on all pre-owned vehicles. While every reasonable effort is made to ensure the accuracy of this data, we are not responsible for any errors or omissions contained on these pages. Prices subject to change. Vehicles are subject to prior sale. ((**PLUS**ALL ELECTRIC MOTOR**NAVIGATION**BACKUP CAMERA**PARKING SENSORS**PREMIUM SOUND**BLUETOOTH**LEATHER**HEATED/COOLED SEATS**CERTIFIED PRE-OWNED ELIGIBLE**CLEAN CARFAX**ONE OWNER**REMAINING KIA WARRANTY**FREE TIRES FOR LIFE-SEE DEALER FOR DETAILS**TRADE WELCOME**FINANCING AVAILABLE WITH NO MONTHLY PAYMENTS UP TO 90 DAYS**)) 2016 Kia Soul EV Plus FWD 1-Speed Automatic 109 hp AC Electric Motor Soul EV Plus, 4D Hatchback, 109 hp AC Electric Motor, 1-Speed Automatic, FWD, Gray, UNKNOWN Leather, Air Conditioning, AM/FM radio: SiriusXM, AM/FM/CD/MP3 Audio w/Navigation, Dual front impact airbags, Exterior Parking Camera Rear, Front wheel independent suspension, Heated front seats, Heated rear seats, Navigation System, Passenger vanity mirror, Power steering, Tilt steering wheel, Ventilated front seats. 120/92 City/Highway MPG Advertised prices are subject to tax, title, license, registration, dealer documentary fee, and finance charges. Most vehicles are subject to reconditioning fees and costs for dealer installed accessories. These fees and costs are not included in theadvertised price. Second key, floor mats, or owner's manual may not be available on all pre-owned vehicles. While every reasonable effort is made to ensure the accuracy of this data, we are not responsible for any errors or omissions contained on these pages. Prices subject to change. Vehicles are subject to prior sale. ((**LX**BLIND-SPOT DETECTION**BACKUP CAMERA**APPLE CARPLAY/ANDROID AUTO**CRUISE CONTROL**TILT WHEEL**BLUETOOTH**SATELLITE RADIO**CERTIFIED PRE-OWNED ELIGIBLE**CLEAN CARFAX**ONE OWNER**REMAINING KIA WARRANTY**FREE TIRES FOR LIFE-SEE DEALER FOR DETAILS**TRADE WELCOME**FINANCING AVAILABLE WITH NO MONTHLY PAYMENTS UP TO 90 DAYS**)) 2018 Kia Optima LX FWD 6-Speed Automatic with Sportmatic 2.4L I4 DGI DOHC Optima LX, 4D Sedan, 2.4L I4 DGI DOHC, 6-Speed Automatic with Sportmatic, FWD, Silver, Black w/Cloth Seat Trim, Air Conditioning, Blind spot sensor: warning, Driver door bin, Dual front side impact airbags, Exterior Parking Camera Rear, Illuminated entry, Occupant sensing airbag, Radio: AM/FM/MP3/SiriusXM Audio System, Speed-sensing steering. 25/36 City/Highway MPG Advertised prices are subject to tax, title, license, registration, dealer documentary fee, and finance charges. Most vehicles are subject to reconditioning fees and costs for dealer installed accessories. These fees and costs are not included in theadvertised price. Second key, floor mats, or owner's manual may not be available on all pre-owned vehicles. While every reasonable effort is made to ensure the accuracy of this data, we are not responsible for any errors or omissions contained on these pages. Prices subject to change. Vehicles are subject to prior sale. ((**LX**BACKUP CAMERA**CRUISE CONTROL**TILT WHEEL**BLUETOOTH**SATELLITE RADIO**CERTIFIED PRE-OWNED ELIGIBLE**CLEAN CARFAX**ONE OWNER**REMAINING KIA WARRANTY**FREE TIRES FOR LIFE-SEE DEALER FOR DETAILS**TRADE WELCOME**FINANCING AVAILABLE WITH NO MONTHLY PAYMENTS UP TO 90 DAYS**)) STANDARD FEATURES MECHANICAL 2.4L GDI 4-Cylinder Engine 6-Speed Automatic Transmission w/ Sportmatic Independent Front and Rear Suspension 17" Alloy Wheels SAFETY Dual Front Advanced Airbags Front Seat-Mounted Side Airbags Side Curtain Airbags (1st & 2nd Row) Lower Anchors and Tethers for Children (LATCH) Anti-Lock Braking System (ABS) Traction Control System (TCS) Electronic Stability Control (ESC) Hill-start Assist Control (HAC) Tire Pressure Monitoring System (TPMS) INTERIOR, COMFORT & CONVENIENCE Air Conditioning Power Windows, Door Locks & Outside Mirrors AM/FM/CD/MP3 Audio System SIRIUSXM® w/free 3-mo. subscription* Rapid Charge USB Ports / Auxiliary Input Jack Bluetooth® Wireless Technology YES Essentials Seat Fabric Material 40/20/40 Split Folding 2nd Row Seats Rear Center Armrest with Cupholders Remote Keyless Entry Cruise Control Steering Wheel Controls (Bluetooth/Audio/Cruise) Tilt and Telescopic Steering Column Dual Illuminated Visor Vanity Mirrors Drive Mode Select (DMS) EXTERIOR Heated Outside Mirrors w/ Turn Signal Indicators Privacy Glass Roof Rails WARRANTY 10 Year/100,000 Mile Limited Powertrain Warranty 5 Year/60,000 Mile Limited Basic Warranty 5 Year/60,000 Mile Roadside Assistance *Ask dealer for details 21/29 City/Highway MPG Advertised prices are subject to tax, title, license, registration, dealer documentary fee, and finance charges. Most vehicles are subject to reconditioning fees and costs for dealer installed accessories. These fees and costs are not included in theadvertised price. Second key, floor mats, or owner's manual may not be available on all pre-owned vehicles. While every reasonable effort is made to ensure the accuracy of this data, we are not responsible for any errors or omissions contained on these pages. Prices subject to change. Vehicles are subject to prior sale. 2018 STINGER ** 4K MILES !! ** TURBO ** NAVIGATION ** *>DRIVER ASSISTANCE SAFETY PKG (see below) ** POWER GLASS MOON ROOF ** LEATHER SEATING ** 18 PREMIUM ALLOY WHEELS ** REAR VIEW CAMERA SYSTEM ** 1 OWNER **with** CLEAN CARFAX ** BLUETOOTH HANDS FREE ** WIRELESS STREAMING ** DUAL POWER HEATED FRONT SEATS / DRIVER SEAT & WHEEL MEMORY ** HAND FREE SMART PHONE / AUDIO LINK SYSTEM FOR APPLE / ANDROID CAR PLAY & OTHER MOBILE APPS w/ 8 TOUCH SCREEN ** 1 TOUCH IGNITION START & STOP ** INTERIOR LED MOOD LIGHTING ** EXCELLENT LIKE NEW CONDITION **-----------*>DRIVER ASSISTANCE PKG INCL; BLIND SPOT WARNING / SMART CRUISE CONTROL w/ STOP & GO / FORWARD COLLISION WARNING & AVOIDANCE / LANE DEPARTURE WARNING & LANE KEEP ASSIST / REAR CROSS TRAFFIC COLLISION WARNING. ** SEE IN PHOENIX AT MARK MITSUBISHI-1901 E BELL RD ** ** WE *^SHIP TO ALL STATES *^(SEPARATE SHIPPING CHARGES APPLY) ** ** CALL US or TEXT @ 602-492-8731 TO ENSURE AVAILABILITY AND SET UP A TEST DRIVE ** ** ALWAYS VALUE PRICED ** ***** ** COMPARE OUR PRICES, MILE FOR MILE & OPTION FOR OPTION, TO ANY OTHERS ** THEN HEAD TO MARK MITSUBISHI !! MARK MITSUBISHI !! 1901 E BELL RD IN PHOENIX FOR YOUR BEST VALUE DEAL ** NO PAYMENTS FOR 90 DAYS FINANCING OAC !! ANY TRADES WELCOME **** Text or Call @ (602) 492-8731 To See and Drive this Vehicle Only at Mark Mitsubishi, 1901 E Bell Rd. OR Visit markphx.com Where You Can View Over 300 Premium Pre-Owned, Fully Reconditioned Vehicles.JUST OFF THE 101 & CAVE CREEK RD. MINUTES FROM ANYWHERE IN GREATER PHOENIX !! *Advertised prices are subject to sales tax, title, license, registration, dealer documentary fee, and finance charges. Vehicles are subject to reconditioning fees and costs for dealer installed accessories. Second key, floor mats, and owner's manual may not be available on all pre-owned vehicles. Current Mileage May Vary. While every reasonable effort is made to ensure the accuracy of this data, we are not responsible for any errors or omissions contained on these pages. Prices subject to change. Vehicles are subject to prior sale.